A reflection in JavaFX projects an inverted copy of the shape in front of and below the shape, creating the impression that the shape is sitting on a reflective surface. You can create a reflection by using the Reflection class, whose members are shown in this table. 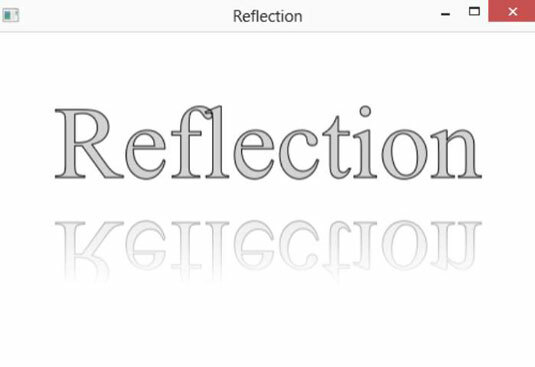 Reflection() Creates a new Reflection effect with default settings. void setBottomOpacity(double value) The opacity (0.0 to 1.0) at the bottom edge of the reflection. the reflection. The default is 0.